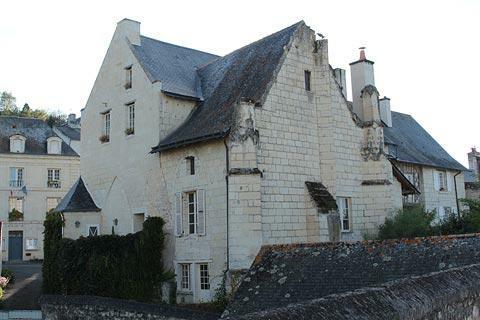 Montsoreau is a classified 'most beautiful village of France' situated between Saumur and Chinon in the Maine-et-Loire department of western France. 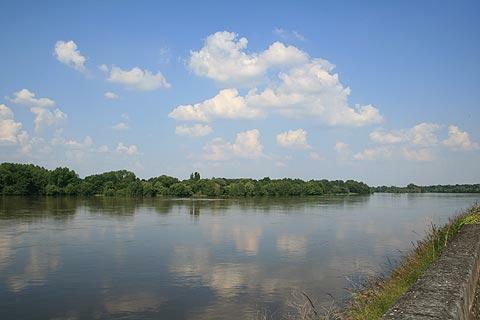 At this point, the Loire is classified as a World Heritage Site by UNESCO - it is the largest area to be designated a UNESCO site in France. 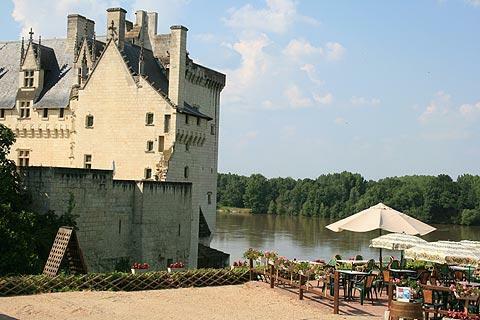 France This Way comment: Montsoreau is a lovely little village at the base of a cliff on a quiet stretch of the River Loire near the confluence of the Loire and Vienne rivers and not to be missed if you are exploring the Loire Valley near Saumur. 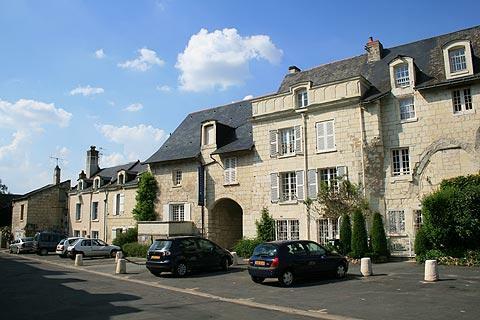 Park your car in the Place du Mail, the main square in the centre of the village and walk along the river front to the west: the tourist office of Montsoreau is here and can give you useful information about the village, walks in the region and also boat trips on the Loire. 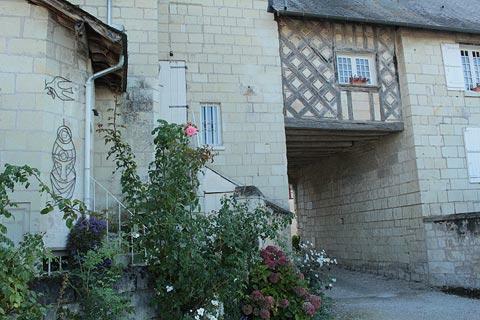 After exploring this part of the village you can walk in the other direction and continue to the higher part of the village which lies along the edge of a main street parallel to the river, towards the château which rises up majestically above the water. 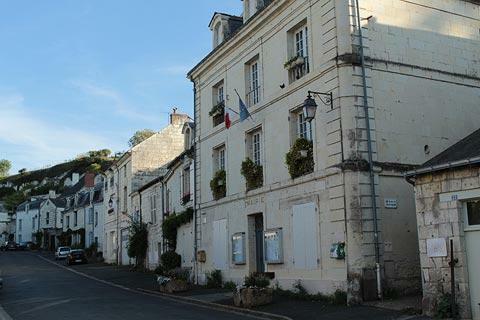 The village is charming and it is quieter here away from the road which runs next to the river. 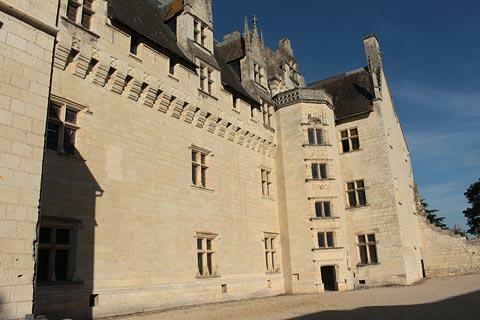 You have some superb views of the château which is now promoted as the 'Château de la Dame de Montsoreau' after the novel by Dumas that revolved around the love life of two ladies who lived in the castle during the reign of Henri III (based on real events), and has recently been renovated and opened to the public. 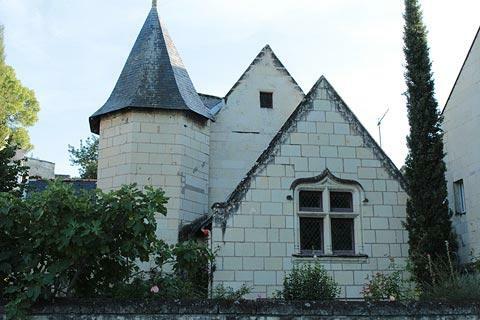 Montsoreau castle includes architectural elements from a fortified chateau with elements of being a renaissance period chateau built as a home rather than with a military purpose. 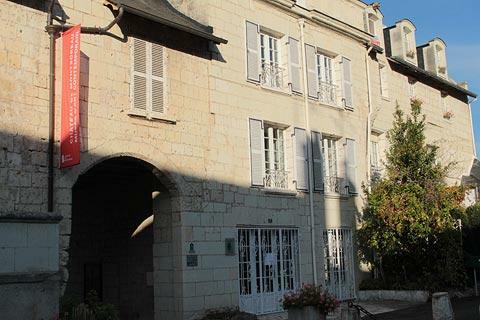 Next to the castle is the Hotel le Bussy where you will find a terrace with a superb view of the château and the river - this is a perfect place to stop for a drink. 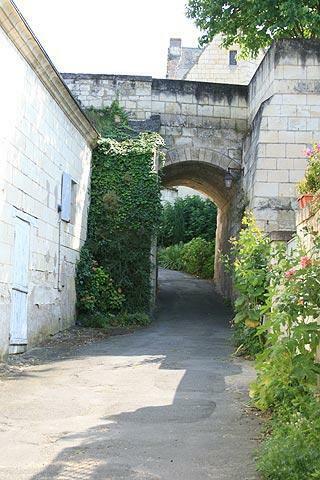 You can also visit the old troglodyte part of the village south of the castle if you follow another road between Place du Mail and the eastern part of the village but further from the river (Haute Rue, Ruelle Bussy d'Amboise, Chemin du Coteau). 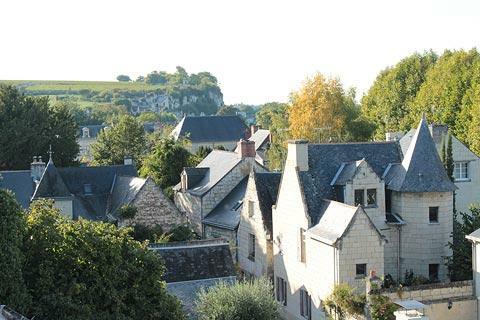 Here you can see homes, doors and windows cut into the cliff and which as recently as the end of the 18th century provided homes to most of the villagers. More recently, mushroom growers have taken over some of the larger man-made caves and a restaurant at the site specialises in stuffed mushrooms. 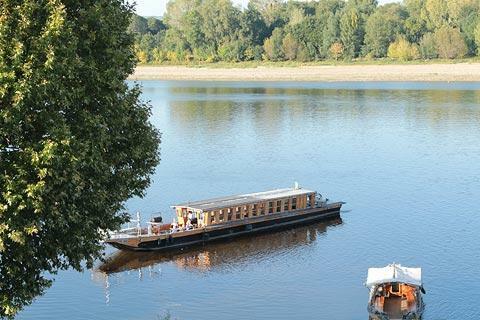 Boat trips in traditional boats and fishing are popular activities in Montsoreau. 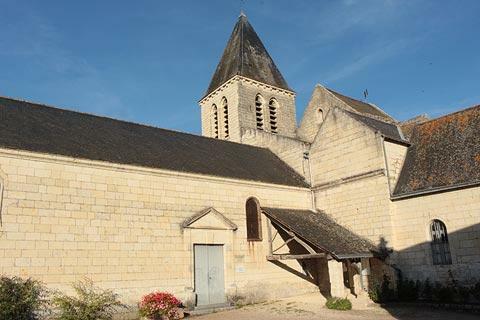 Montsoreu is a small village but has the advantage that it is close to the adjoining village of Candes-Saint Martin which, like Montsoreau, is classed one of the most beautiful villages of France. From the castle you can easily follow a pleasant path between the two villages: it is the two together and this walk that together make for a lovely excursion. 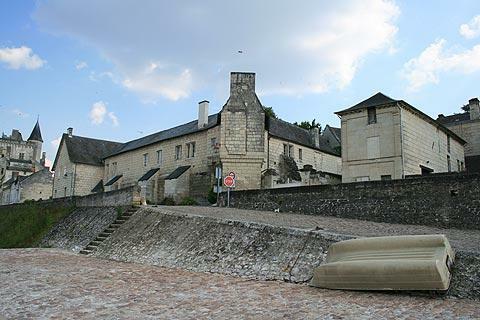 The popular Fontevraud Abbey is just a short distance south of the village, and the towns of Saumur to the west of Montsoreau, and Chinon to the east, are both very enjoyable to explore, and both also have castles to visit. 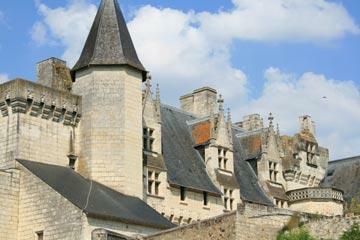 You can find more local travel ideas in the Maine-et-Loire guide and the Pays de la Loire guide.